In the event the Oklahoma voters repealed a section of the Oklahoma Constitution in November eight ballot through State Question 790, which currently prohibits state assets from being used for religious purposes, Hindus will re-pursue their interest to install Lord Hanuman statue in Oklahoma Capitol grounds in Oklahoma City. Section 5 (Public money or property - Use for sectarian purposes) of Article II (Bill of Rights) of Oklahoma Constitution, states: No public money or property shall ever be appropriated, applied, donated, or used, directly or indirectly, for the use, benefit, or support of any sect, church, denomination, or system of religion, or for the use, benefit, or support of any priest, preacher, minister, or other religious teacher or dignitary, or sectarian institution as such. The proposed ballot measure, given in State Question 790, if approved by voters, would remove this Article 2, Section 5 of the Oklahoma Constitution. 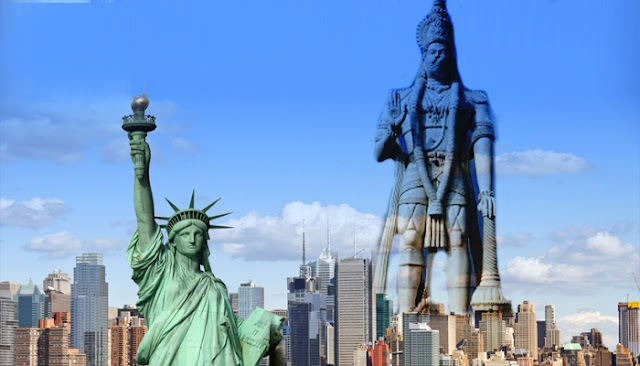 Hindu statesman Rajan Zed, in a statement in Nevada today, said that if and when Oklahoma State Capitol became open again in the future to different monuments and space was available on the statehouse grounds, Hindus would love to request placing a statue of Lord Hanuman, which might become the first Hindu religious monument on public land in USA. Zed, who is President of Universal Society of Hinduism, had written to the Oklahoma State Capitol Preservation Commission (OSCPC) officials in the past showing interest in erecting the Lord Hanuman statue, which they planned to make big and weather-proof. OSCPC, created in 1982 to plan and supervise the preservation and restoration of the interior and exterior of the Oklahoma State Capitol building, also controls the display of objects in public areas of the State Capitol building. Rajan Zed pointed out that besides honoring the Hindus living in Oklahoma, this Lord Hanuman statue would raise awareness of Oklahomans about Hinduism, oldest and third largest religion of the world with about one billion adherents and a rich philosophical thought. Zed further said that some Christian, Buddhist, and Jewish leaders had already backed in the past the proposed bid of Hindus of erecting a statue of Lord Hanuman in Oklahoma State Capitol grounds. Lord Hanuman is greatly revered and worshiped in Hinduism and is known for incredible strength and was a perfect grammarian. 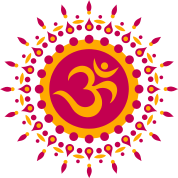 There are about three million Hindus in the USA.